During the Colonial era, the won was replaced at par by the yen, made up of the Korean yen. In 1945 after World War II, Korea became divided, resulting in two separate currencies, both called won, for the South and the North. Both the Southern won and the Northern won replaced the yen at par. 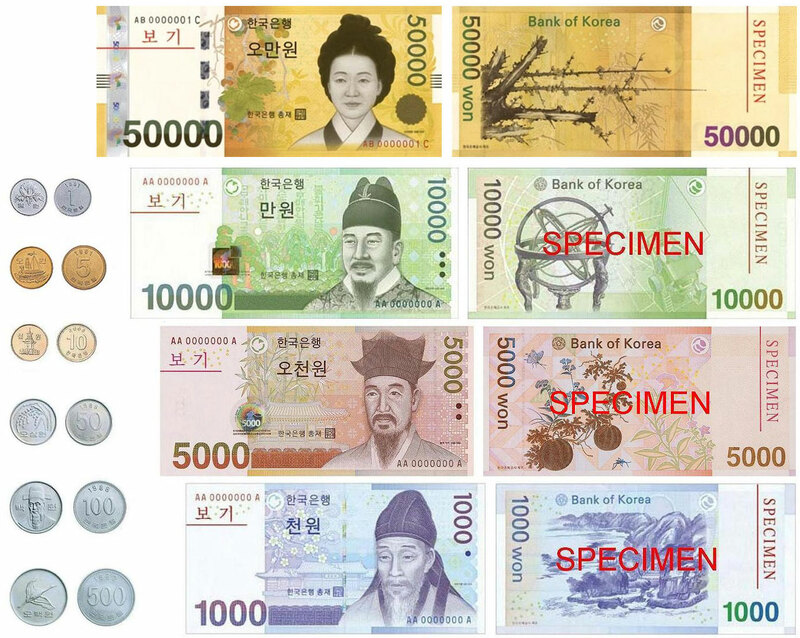 The first South Korean won was subdivided into 100 jeon. The South Korean won was initially pegged to the U.S. dollar at a rate of 15 won = 1 dollar. A series of devaluations followed, the later ones in part due to the Korean War.